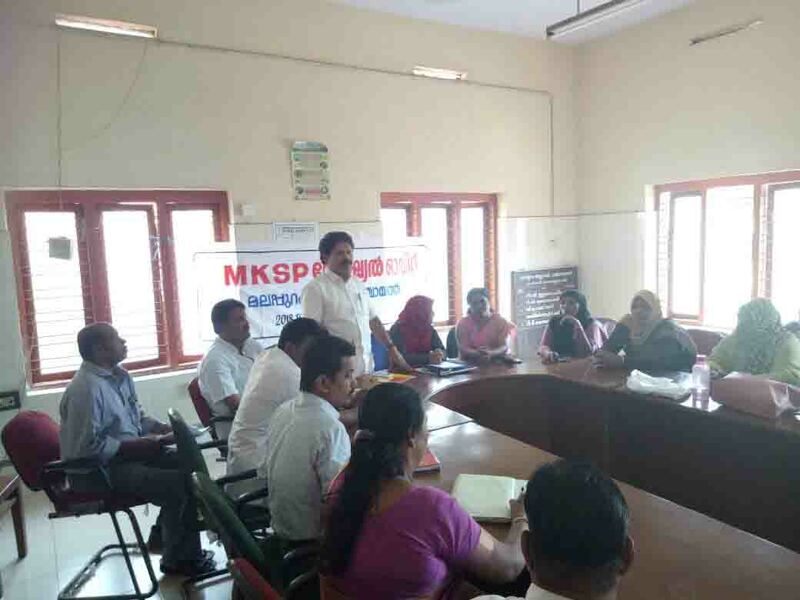 Mahila Kisan Sashakthikaran Pariyojana (MKSP) aims to identify about 30,000 women agricultural labourers and marginal farmers in about 279 gramapanchayth, spread across, 44 block panchayaths and 3 District panchayaths - Palakkad, Malppuram and Thrissur of Central Kerala and equipping them with adequate machinery, trainning and knowledge so that the women labour bank formed through this process will be in a position to stop the decline of paddy cultivation in short term and reverse it in the long term. 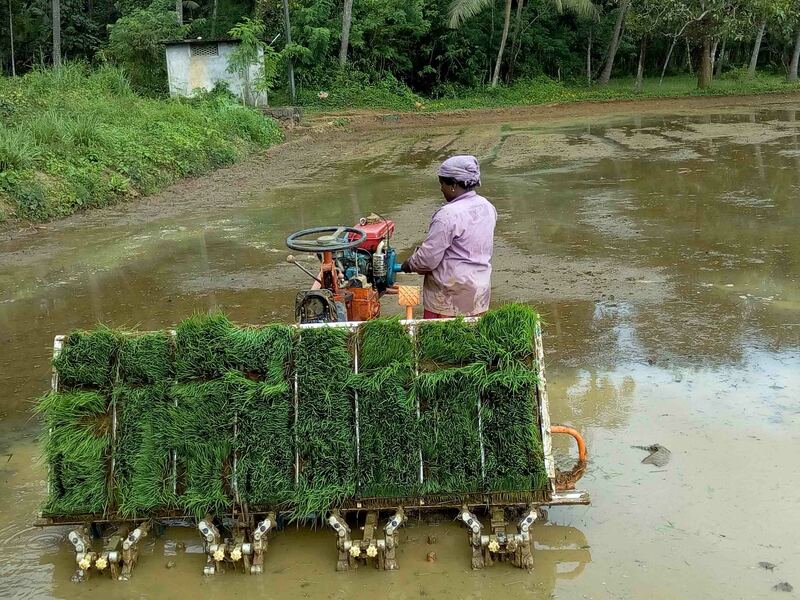 Increase the productivity and production of paddy through mechanization of paddy operations like plouhing, transplanting, weeding, harvesting, threshing and winnowing. 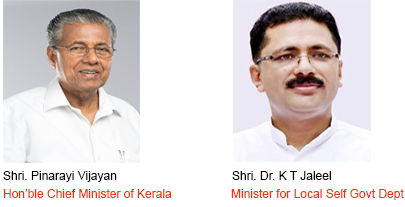 Convert at least 100 acre of the fallow land in each Gramapanchayath in the districts of Palakkad, Malppuram and Thrissur to agricultural land and support them in achieve the status of 'Zero fallow land' step by step. 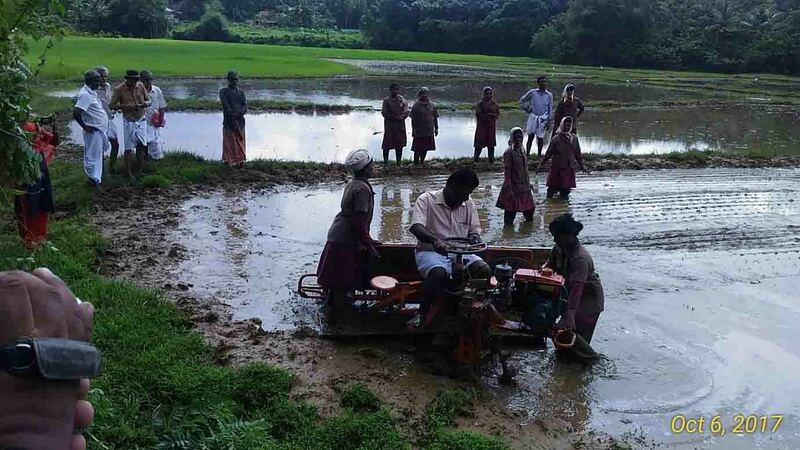 All gramapanchayath going to have a well equipped and trained women's labour team which can deliver all operations of paddy at reasonable labour rate either in whole or in parts for the benefit of all paddy farmers. 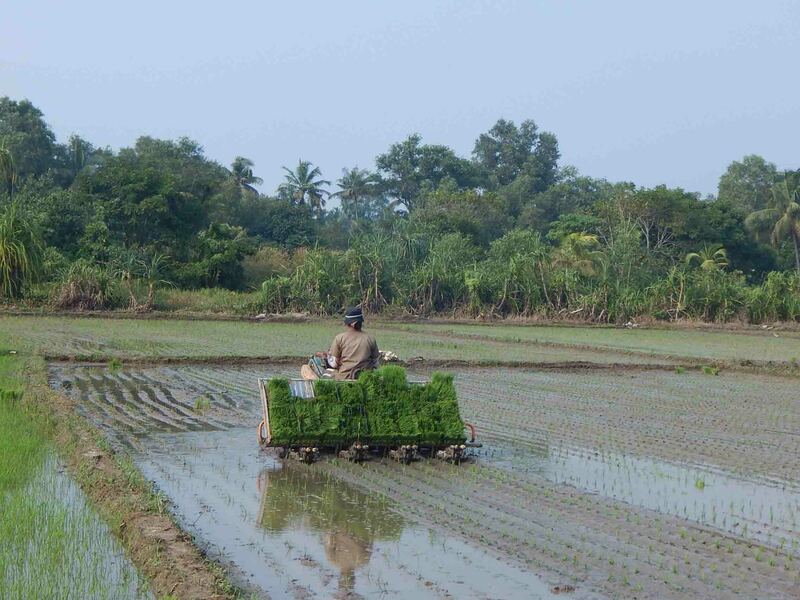 All paddy land in gramapanchayath is cultivated at best for a crop in a year, possibly two, producing atleast enough food grains for the people of the gramapanchayath. 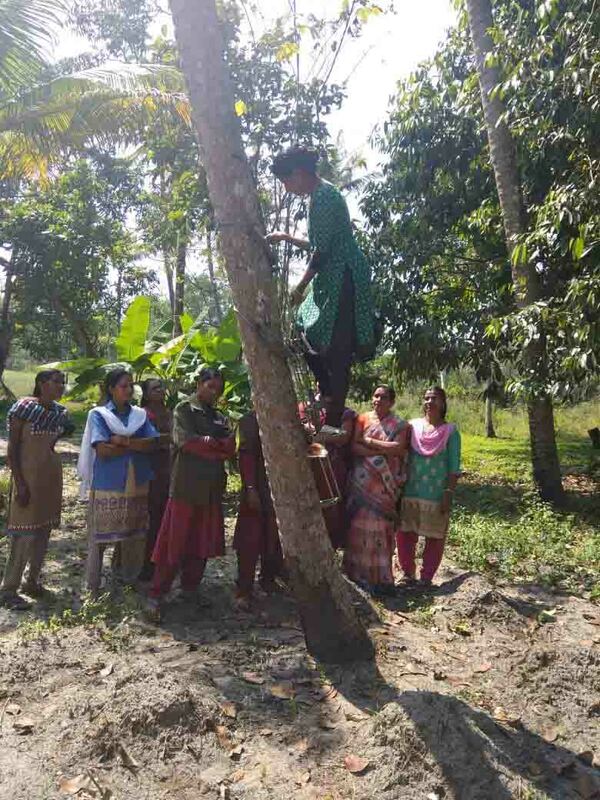 Kanjikuzhy Panchayath Coconut Climbing Training. 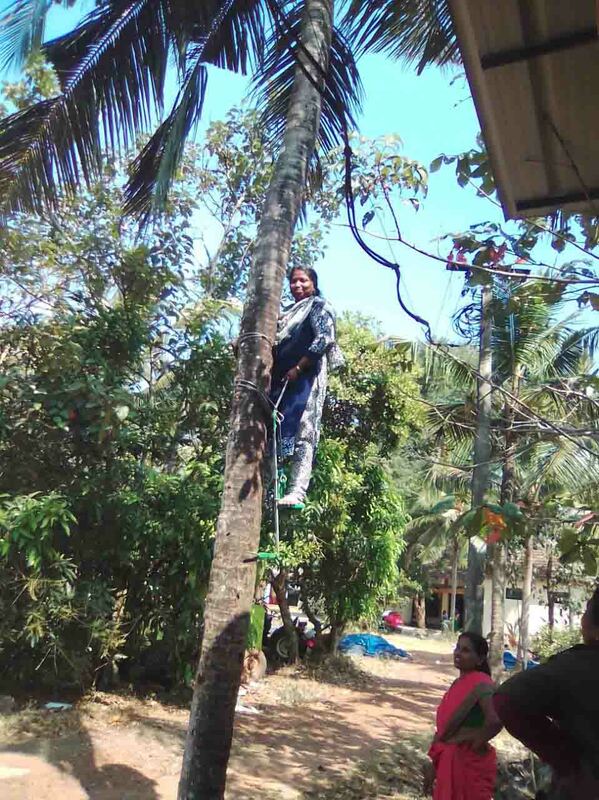 Coconut Climbing Training Programme Kozhikkode. 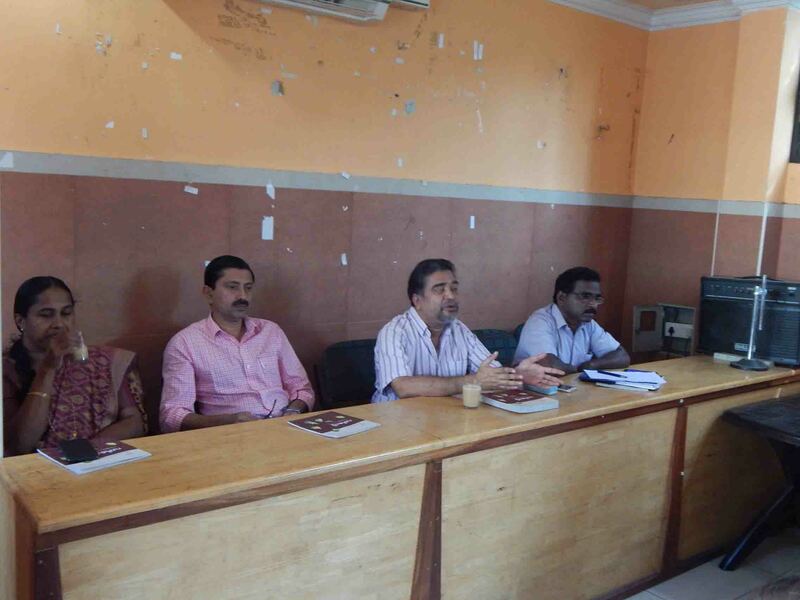 Review meeting of BDOs & EoWWs of Alappuzha was held on 20.12.2017 at PAU Alappuzha . 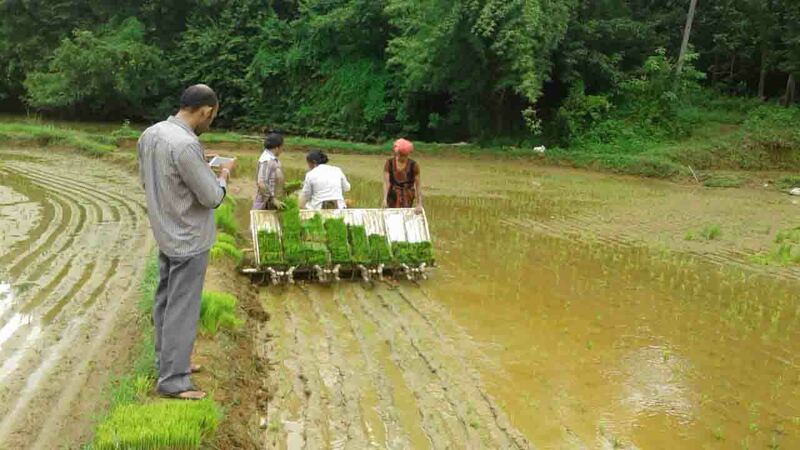 Transplanting of Paddy seedlings in Irinjalakkuda Block . 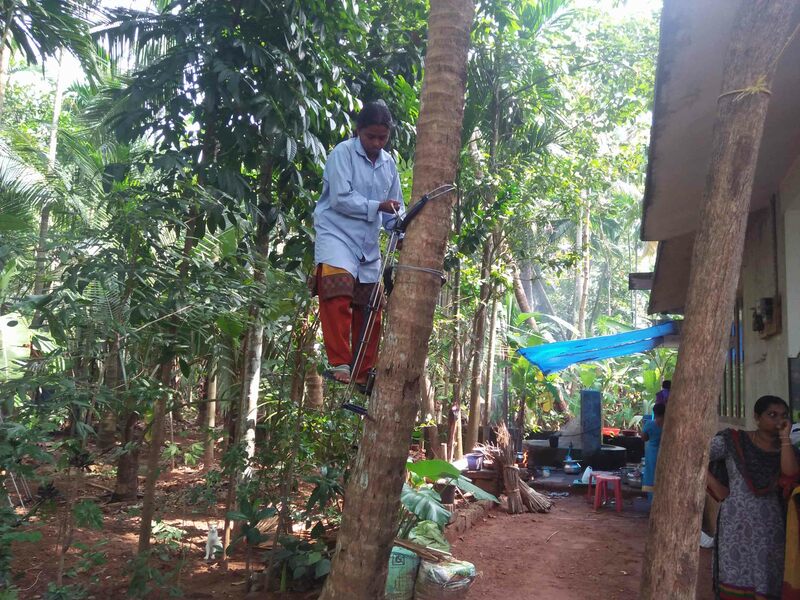 Thykkattussery Grama Panachayath - Coconut Climbing Field Training on 18.12.2017. A s part of Gandhi Jayanthi week celebrations,Thrithala Block transplanted the paddy seedlings ..
As a part of Gandhi Jayanthi week celebrations, Sreekrishnapuram Block transplanted the paddy seedlings ..
As a part of Gandhi Jayanti Week Celebrations , Pattambi Block transplanted the paddy seedlings . 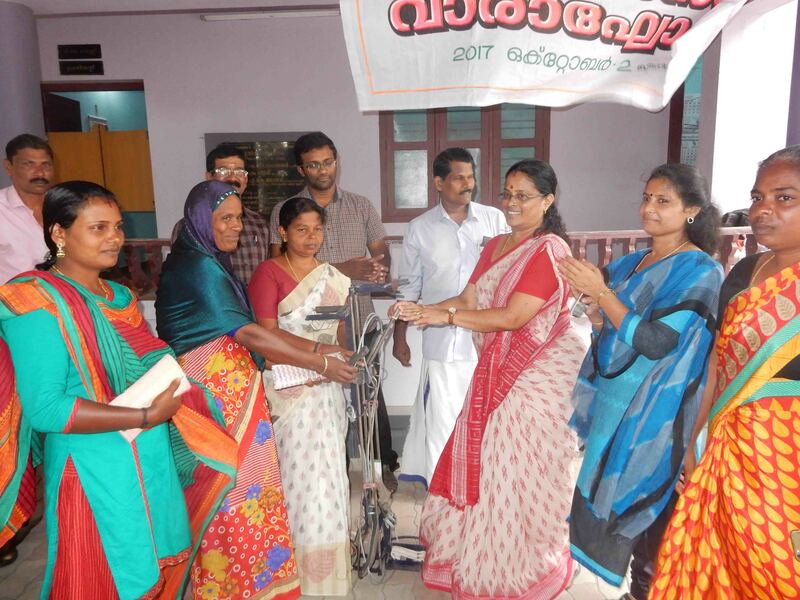 As a part of Gandhi Jayanthi week celebrations, Palakkad Block transplanted the paddy seedlings..
As apart of Gandhi Jayanthi week celebrations,Alathur Block in Palakkad District , distributed the coconut climbing machines to the beneficiaries..
© Copyright MKSP 2014. All rights reserved.